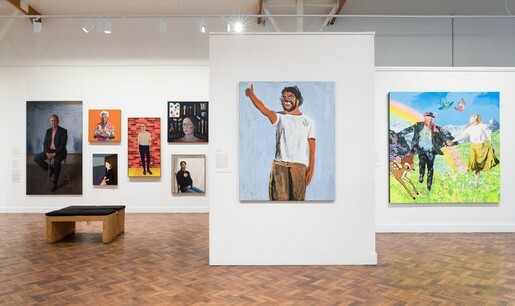 Enjoy the best gallery located right between Sydney and Canberra. We have rolling hills to look at too. We are the only regional gallery within an eighty kilometre radius of Goulburn's bustling CBD. So we make sure what we do is good. We present exhibitions. 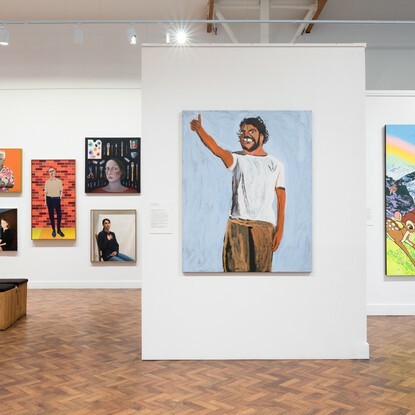 These exhibitions span art forms and ideas that will show you what Australian artists are making right now, and why. We also run programs and events that enrich the experience of these exhibitions if you want a deeper or guided visit. If you want to learn how to make something, we offer masterclasses and workshops too, shown on the Events page. It is always free to visit us, but don't be afraid of throwing in a donation at the door. Goulburn is located between Canberra and Sydney and is a destination in itself. An easy drive from either of our neighbours, there are also trains and buses that will get you to town. Goulburn is a great city to walk around in but it does get a little chilly. Free parking is available at the Gallery and our accesible entrance is via Church Street. Like a guided tour of the gallery? Whether you are on your own or in a group, our friendly and knowledgeable hosts would love to show you around and offer you an introduction to our exhibitions, building and history. To ensure you don’t miss out, it’s best to book ahead. A wheelchair is available from the front desk for use in the gallery. Guide and hearing dogs are welcome. Contact us if you have concerns with accessibility and we will make sure your visit is easy and enjoyable. For our visitors that would like to be clear about what they can expect to find at the Gallery, here's a story to share. We encourage you to take photos during your visit, except for exhibits which have a no photography sign. Please don't use a flash. Children are always welcome at the Gallery. Bathrooms within the Civic Centre foyer have baby changing facilities and breastfeeding is welcome. We run activities for children four days a week so stay informed about how we can engage your little one or ask at the desk if we can help.